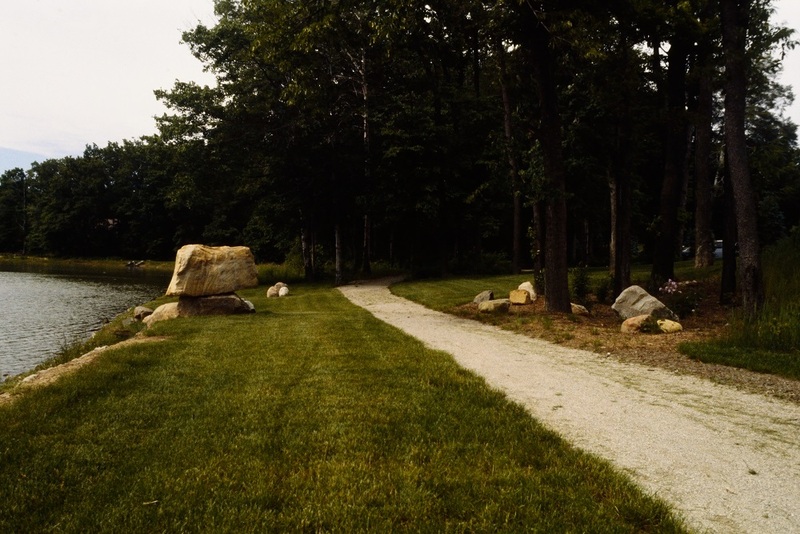 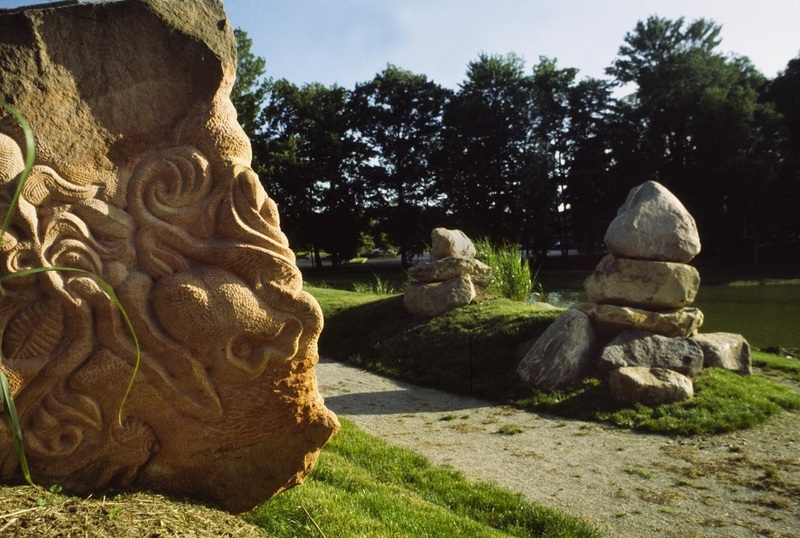 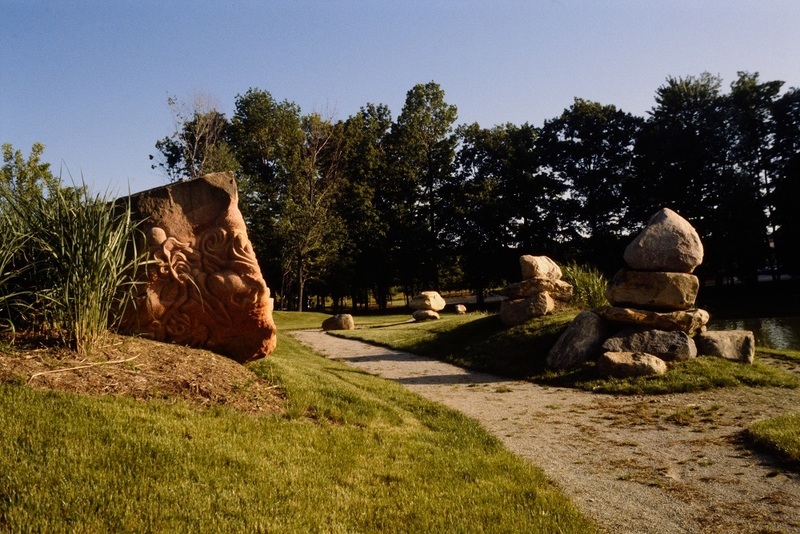 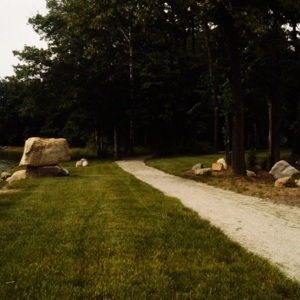 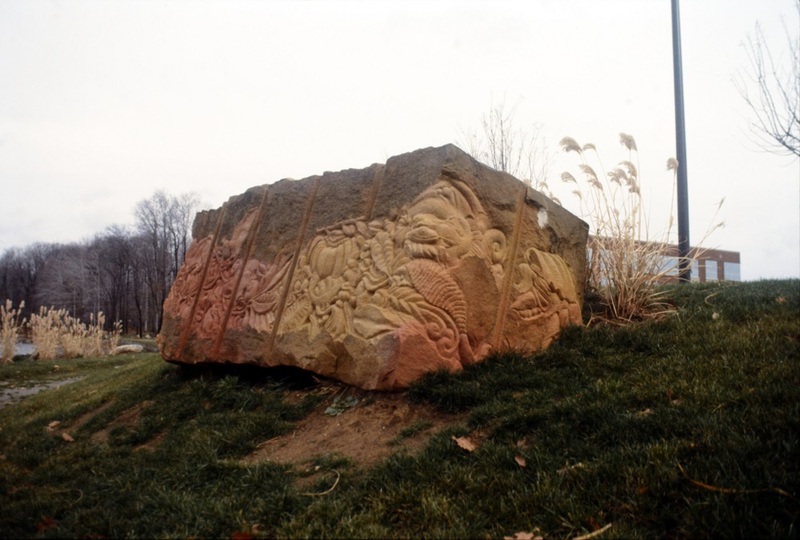 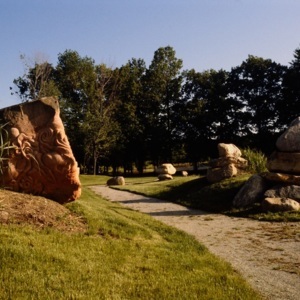 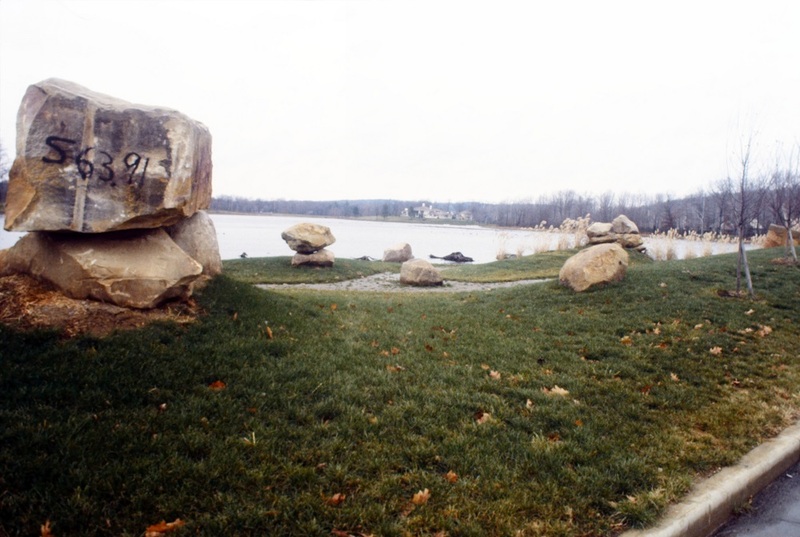 An earthworks piece devised by Brinsley Tyrrell that consists of monolithic carved sandstone blocks, piles of arranged stones, trees, and wildflowers on the bank of the Crystal Lake. 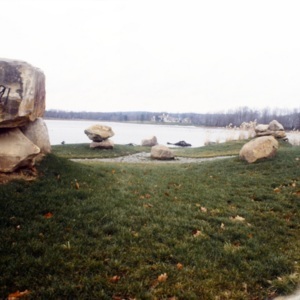 He was assisted by a landscape architect in implementing each element in a manner that made sense. 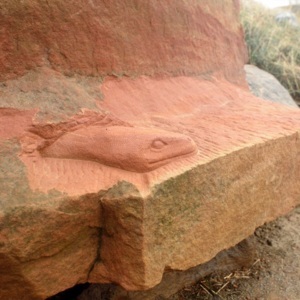 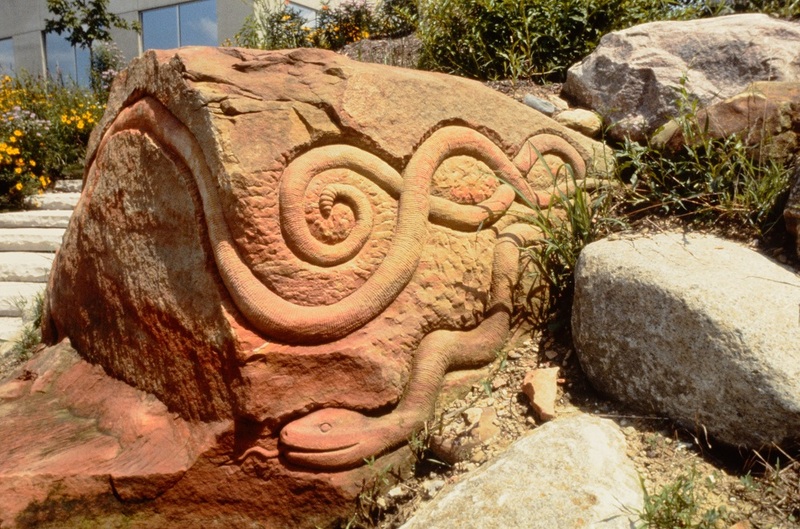 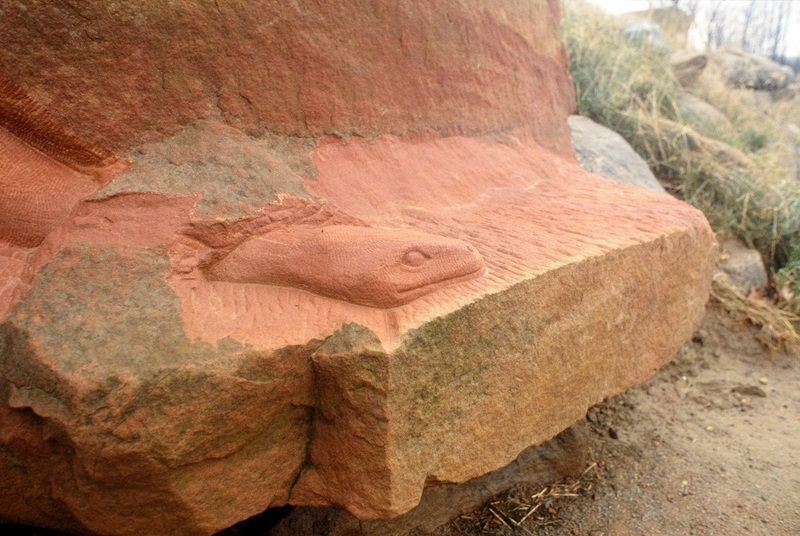 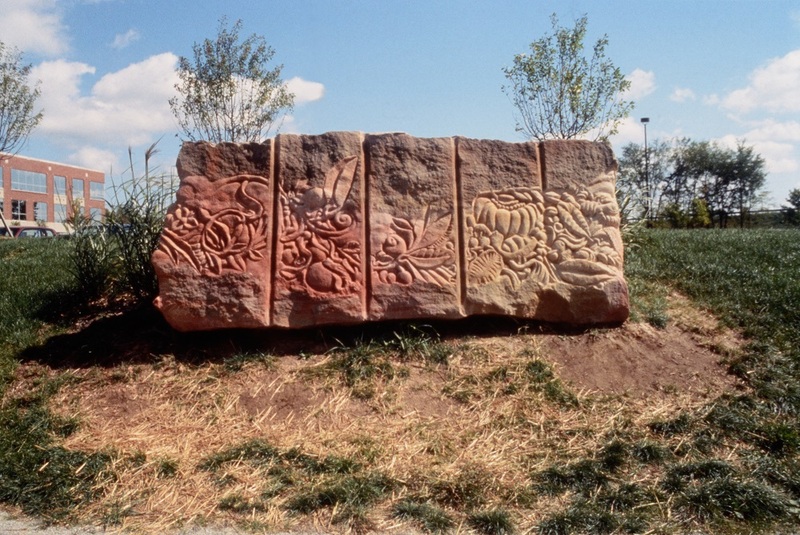 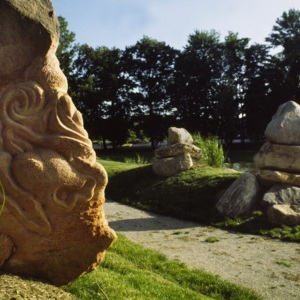 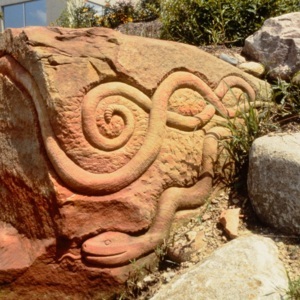 The large sandstone block that is embedded in the landscape is titled "Break the Crane Rock" because it broke the crane that was placing it during installation with its weight, and the snake bench right on the bank is called so because of the carved snake that wraps around the length of the stone. 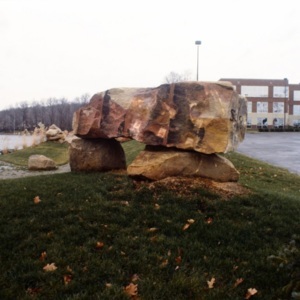 An often overlooked part of this piece is that it is much more than just the carved and stacked stones. 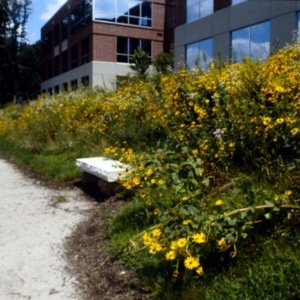 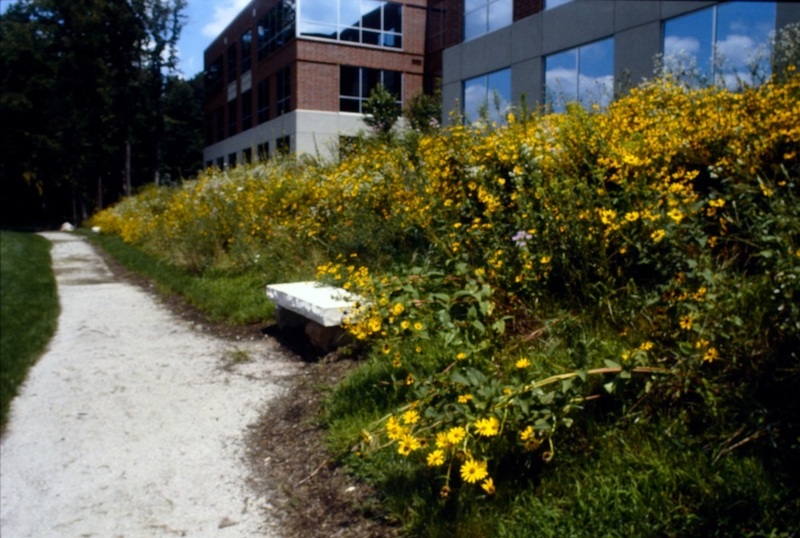 Tyrrell worked on the entire space, including planting a patch wildflowers on the prairie bank (now overrun with weeds), and several trees around the area. 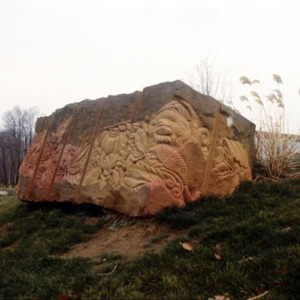 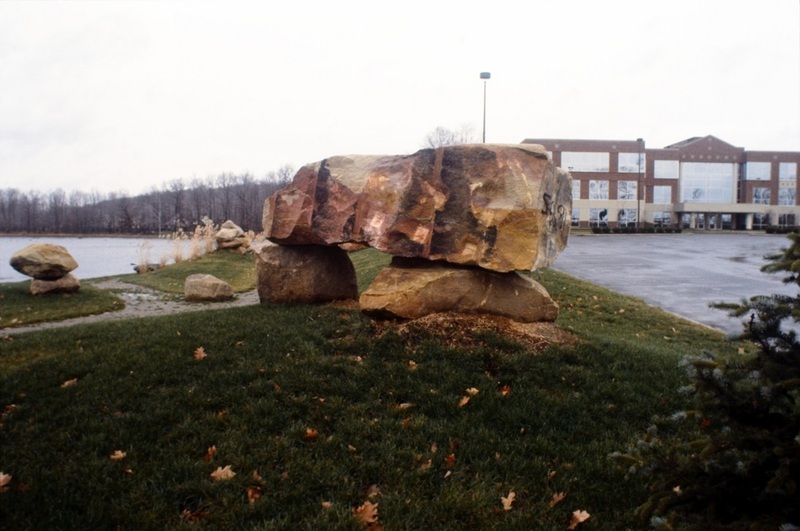 : Brinsley Tyrrell, “Crystal Lake Park,” Ohio Outdoor Sculpture Inventory, accessed April 20, 2019, http://oosi.sculpturecenter.org/items/show/1529.